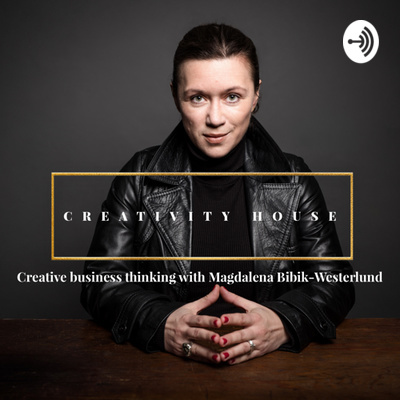 Creative Business Thinking with Magdalena Bibik-Westerlund. Magdalena is a Sweden based Entrepreneur and Business Teacher adding creative business thinking to people's lives one action at the time. In this podcast she will help you add creativity to your business - so that you can stand out among competition and wow your clients. Learn more about Magdalena at magdalenabibikwesterlund.org/ and www.creativity.house/ Contact Magdalena at magdalena@bibikwesterlund.com THANKS FOR STOPPING BY! Creative Business Thinking with Linda Hörnfeldt of Social Brand Lab. Creative Business Thinking for your professional career. Guest: Svea Sigmond. How to stand out with your business idea. 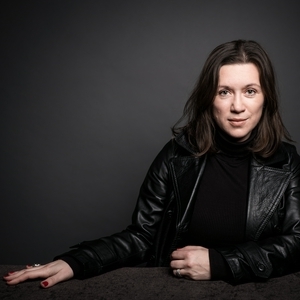 Guest: Malin Lindström. 5. Kill your darlings and go from good to great. In this episode, I am talking about going from good to great by killing your darlings. I give some love to socialbrandlab.se - an awesome online course that I am enrolled in at the moment. You can hear in the tone of my voice that killing your darlings is tough even for me! So - let's do it together! Need help? Drop me an e-mail at magdalena@creativity.house or DM me on Instagram (here). Enjoy! 4. Get (and stay) ahead of your competition with Creative Business Thinking. 3. Beat procrastination with Creative Business Thinking! 2. One smart piece of advice to boost your Creative Business Thinking. 1. What is Creativity House Podcast?